Custom Services Available at Triple H. Equipment, Inc. Triple H provides servicing and maintenance for all of the equipment we sell both in our shop and for emergencies in the field. 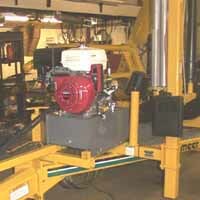 We replace and repair baler belts, custom build and repair hydraulic hoses, and service monitors and other electronic controls. We stock a large selection of replacement parts and can usually get you "back up and running" in short order. With many years of experience, we are good at what we do. Triple H has significant experience in custom building equipment to meet your needs including spreader trail kits and engine powered bale wrapper kits. If you need a similar trail kit or engine powered kit, give us a call, we may be able to help. Triple H provides repair & restoration services for all equipment we sell including warranty and non-warranty work. Much of this work is done in the off-season at very reasonable rates. 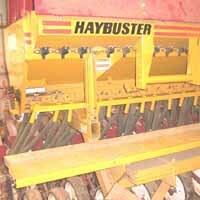 We are particularly adept at custom rebuilding no-till drills and enjoy great success in restoring all models of Vermeer round balers. Give us a call to discuss your repair and restoration needs.